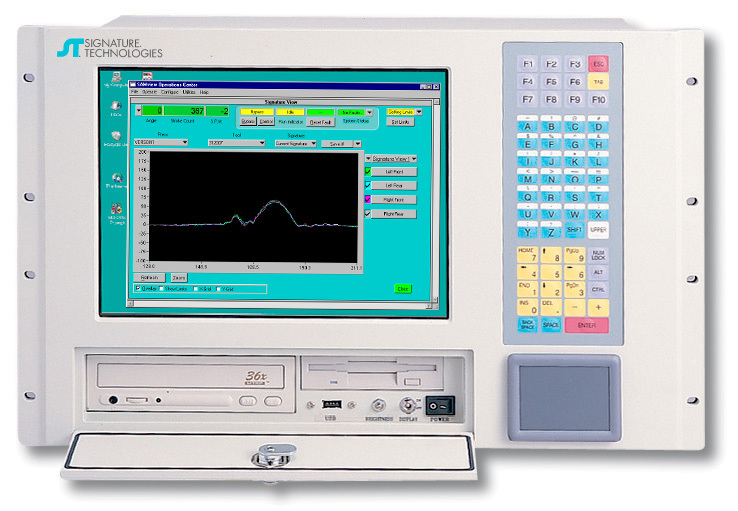 The signatureACE® Statistical Process Controller can provide metalforming functionality such as in-die dimensional measurement, die-protection, load monitoring, signature analysis, signature-based process control (SbPC), and Feature Extraction for SPC/closed loop operations. It consists of a mother board (SA-2000) which has a DSP-based processor, communications in various formats, synchronization bus to other processors, I/O drivers, and status LEDs. Optional daughter boards and software add functions. It can be integrated with PLC-based press controls for a total press and process monitoring solution. Numerous packaging, industrial PC, and configurations options exist. The configuration sold most often is the PIPpac. Click this link for a guide to product configuration or to assist in understanding details of your quotation. This product is a complete machine quality and process control product. It has the flexibility to be installed in either a PC (ISA bus) or mounted in an enclosure at the press and connected to the PC via the SAMnet real-time network. All of the functions normally provided by black boxes are totally integrated in this one product. Available in PC ISA Bus-style card with field connections made via rear panel connectors or panel mount with field connections made via integral plug-in terminal strips. PC mount configuration with auxiliary modules occupies two 3/4 length mounting slots and draws power from a standard PC (ISA Bus) chassis and requires a SAMnet card for interface. Optional NEMA field termination enclosure with integral power supply and mounting for SA-2000 available as option. On-board Flash Memory provides easy re-programming capability and program retention under power-down conditions, easy upgrading. SAMnet (ARCNET©) and serial communication capability are built-in. Operates on a single +5V @1 Amp power source in remote applications or uses power available from the PC ISA Bus. Has status LEDs, master reset, network node assignment, hardware-watchdog, and read-only serial ID. Versions which have analog input hardware can be upgraded through the product line using only software upgrading. All inputs, outputs both digital and analog, use commonly available connectors and cable and are designed to directly interface with PLCs, OPTO22 I/O, Phoenix style connectors blocks and DIN standard terminal products. The SA-2000 Processor Board is a DSP-based module which works in conjunction with plug-in modules (known as daughter boards) listed below to provide practical functionality in a variety of industrial control applications with presses and similar machines. 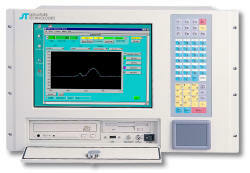 Integral with the DSP portion of the processor are programmable position outputs commonly referred to as cams. 8 Hardware Logic Level Inputs and 16 Hardware Logic Level Outputs are provided for ultra-fast control of I/O. The SA-2000 requires a position module and optionally one of the input modules listed below for operation. It also comes in two physical formats, the SA2000/P for installation in a PC with optional cables and remote termination enclosure; and, the SA2000/R that surface mounts on a panel with integral terminations for sensors. This Module provides the means to interface up to 6 analog inputs and up to 4 digital die-protection inputs to the SA-2000. The Analog section is primarily designed as a Strain Gage interface, but can also be used with self-amplified sensors, Piezo devices and standard signal analog sensors such as analog proximity transducers. The Digital section can accept and provide power for a wide range of digital sensors. This module provides the means to interface up to 8 analog inputs to the SA-2000. It is primarily designed as a Strain Gage interface, but can also be used with self-amplified sensors, Piezo devices and standard signal analog sensors such as analog proximity transducers. This module provides the means to interface up to 16 digital die-protection inputs to the SA-2000. It can accept and provide power for a wide range of digital sensors. This Module provides the means to interface up to 4 analog inputs and up to 8 digital die-protection inputs to the SA-2000. The Analog section is primarily designed as a Strain Gage interface, but can also be used with self-amplified sensors, Piezo devices and standard signal analog sensors such as analog proximity transducers. The Digital section can accept and provide power for a wide range of digital sensors. This module configures the SA-2000 to drive and accept a position reference input from a resolver. The module is designed for use with the ST HiRes Resolver, but can be optimized for other resolvers under special order. This module can also be used with the HiRes Resolver Converter in cases where it is desired to take the position information from an existing resolver which is part of another system. This module configures the SA-2000 to provide power for and accept a position reference input from an Incremental Encoder. This module configures the SA-2000 to accept a position reference input from another SA-2000 when multiple units are used to increase the number of channels on the same press. This module provides synchronization to the primary SA-2000 which has a position module.